With today’s professional, family and active lifestyles it’s easy for certain chores to be placed on the back burner. And, we know how time-consuming home laundry, folding and ironing can be. Added to that, mass-market detergents and hard water can accelerate wear and tear on towels, slacks, shirts, and delicate garments. With Flair’s Wash & Dry services – perfect for sheets, towels, and other clothes that don’t need dry cleaning – you save time, get fast turn-around, and enjoy fresh, clean laundry – without the work that goes along with it. 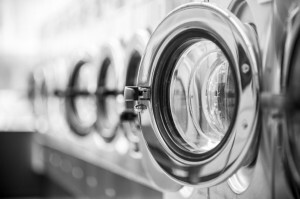 Our laundry services use crystal clean water and the finest environmentally-friendly detergents so your clothes are return fluffed, folded and smelling new. For an extra touch, choose Flair’s flat finishing service, which lets you experience the luxury of professionally ironed sheets, pillowcases, and other bedding. At Flair, we know you have a 24-7 lifestyle. That’s one of the reasons why we give your clothes the same care and attention to detail that you would, if you had the time.